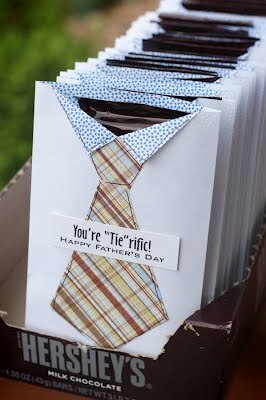 My blog hits have been at a recent high and when I did some digging I found that people are searching for Father's Day ideas. 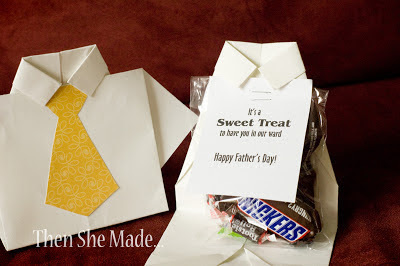 You just a few days to put something together so if you are still looking for a simple little treat for dad or if you need to make gifts for a large group of men, like a church group, here are two simple little crafts that you can pull together rather quickly. I've had several emails lately about this little craft. 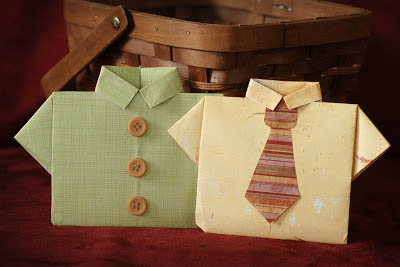 Seems there are questions about where I got my supplies and how I made the tag. 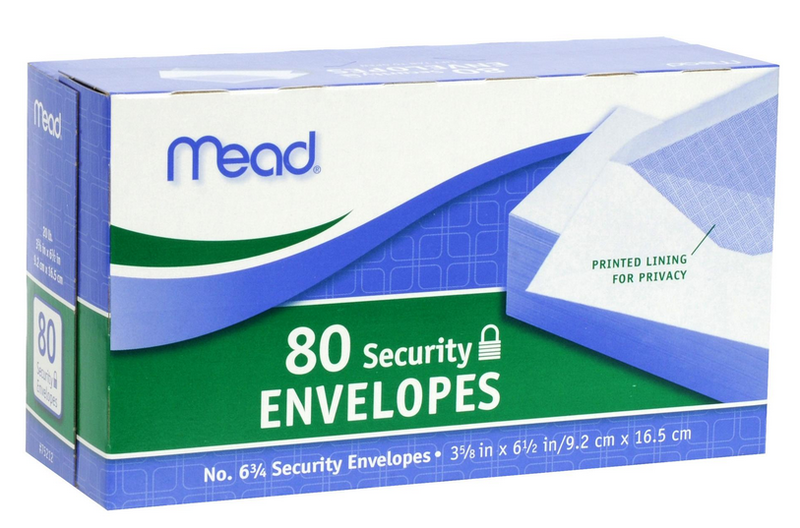 You need this type of envelope - it's a security envelope and has the pattern on the inside. 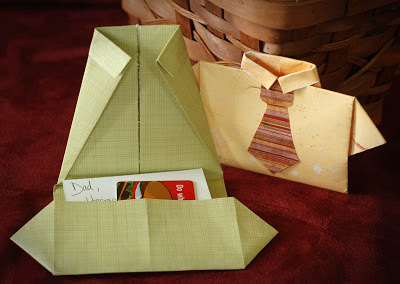 You actually could just use a regular envelope, it would look cute too but I do prefer the pattern as the collar shows up more once it is folded down. I don't have a file of the saying but it was easy to make, I just typed it out. 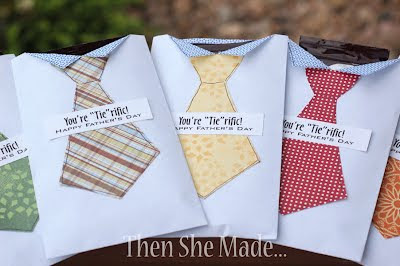 The ties are just made out of scraps of pattern paper. and then you just stick a candy bar on the inside. Flat candy bars like Hershey chocolate bars work best as they don't have much bulk. 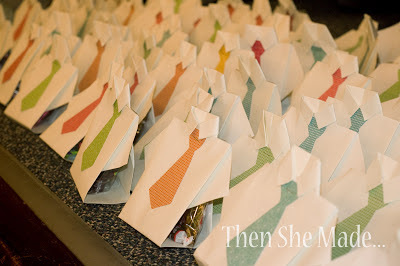 And, on the same lines - this one is a gift card holder.